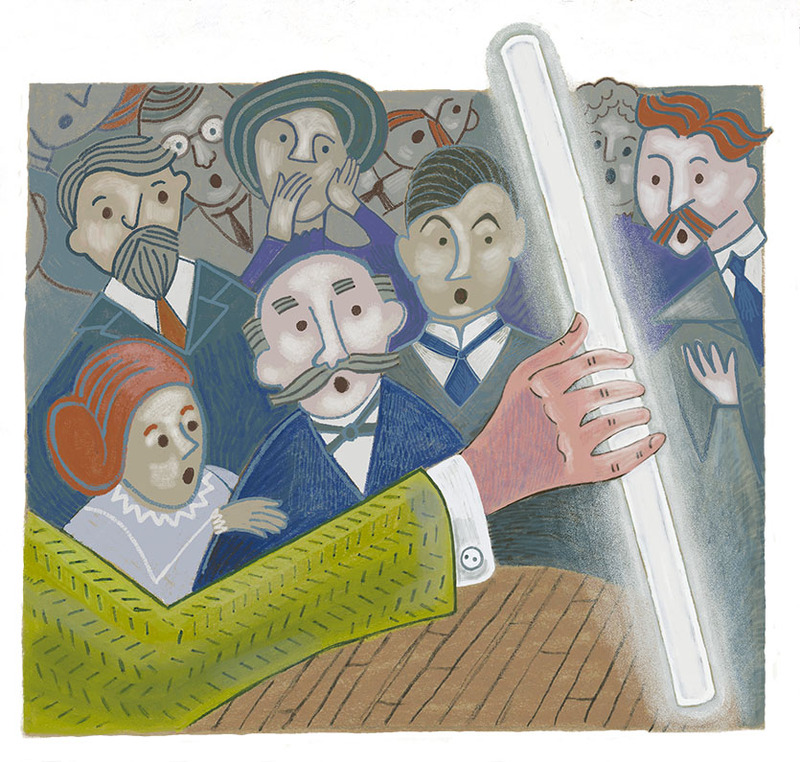 Honest History—A magazine for young historians! 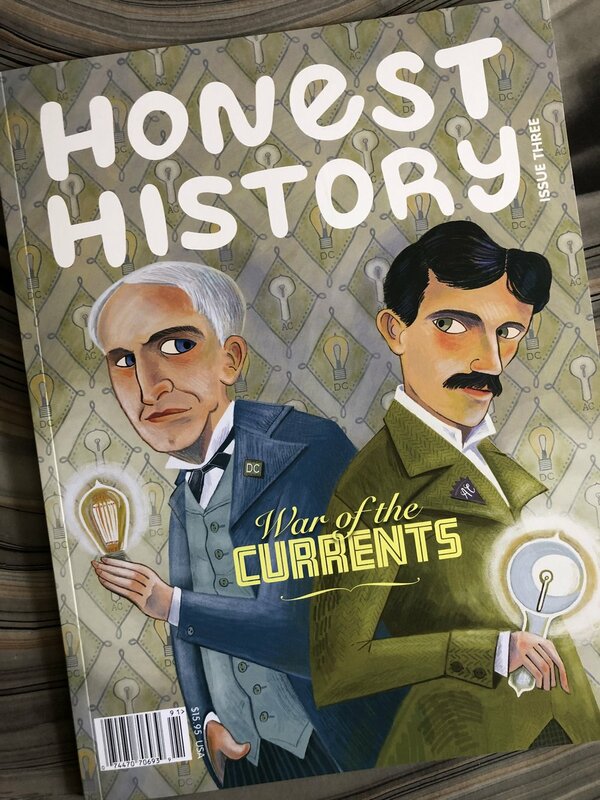 I was so pleased when Honest History asked me to illustrate the cover and main article for Issue Three, “War of the Currents” that I was almost unbearable around my loved ones (they were the only ones I could tell until the issue was announced, so they suffered mightily). Being the history geek that I am, I immersed myself in waaaaayyy more research than required—I got a little lost in it to be honest. 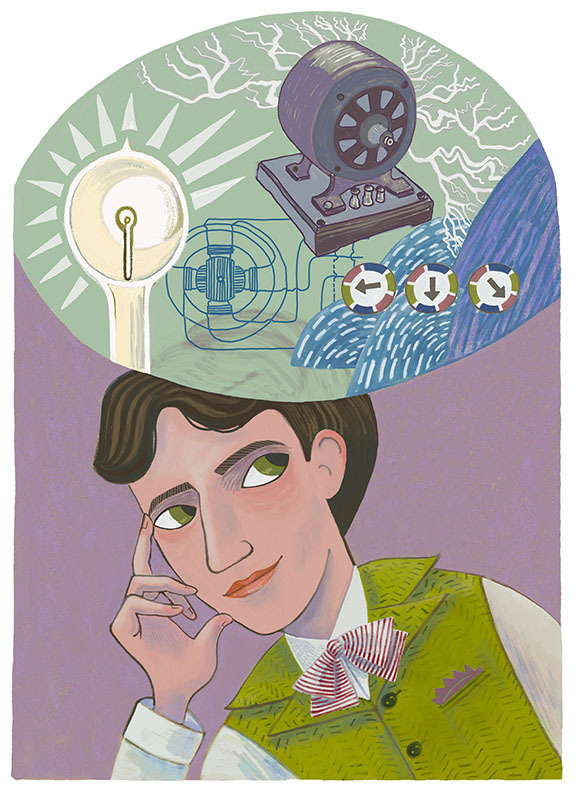 I learned so many interesting things about Nikola Tesla and I’d like to believe all of that information helped me find the right attitude for the illustrations that I made of him. He was a brilliant inventor and engineer who was centuries ahead of his time, and could visualize, create, and test his ideas in his mind long before making them with his hands. 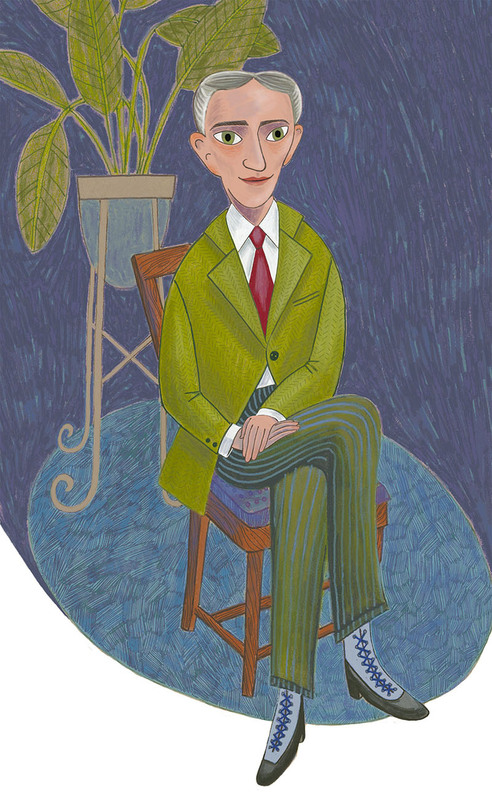 He was a master showman who knew how to dazzle—exuding volts of electricity through his body while wearing a custom-tailored morning jacket. He conducted pioneering work in wireless communication, remote controls, x-rays, and many other systems that we use today. He owned scores of different colored gloves and was a very tall, handsome, and quirky man with a sense of humor that attracted many. He did believe in exercise and careful diet but slept very little (maybe there is hope for me!). He was born during a lightening storm and died penniless and alone in the New Yorker hotel. Did you know all of that? Did you know any of it? I basically knew nothing before I started. I created 14 pieces for the magazine in all. It was a thrilling project, produced in a relatively short period of time. 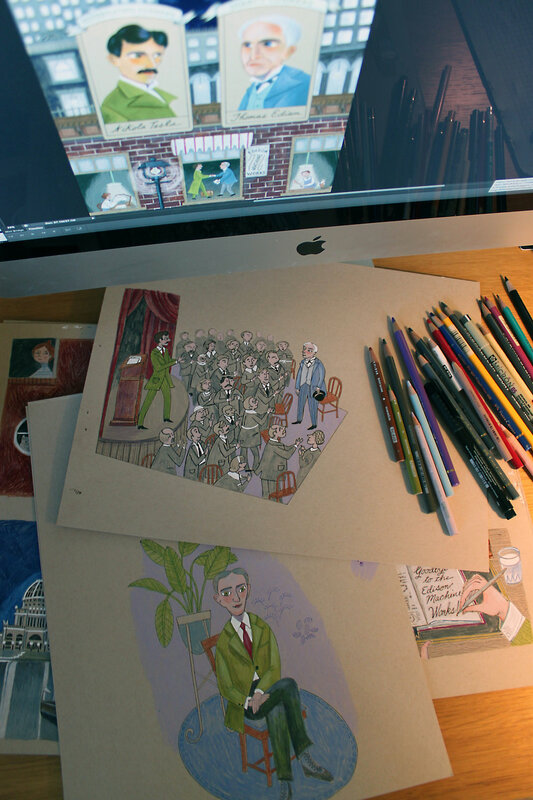 I just had to keep at it, working most weekends and late nights in order to make the deadline. I used a combination of traditional and digital art, making the big plunge to go almost entirely digital on many of the pieces. This enabled me to explore more options and in the end it saved time I’m sure. I also taught myself to turn a couple of the illustrations into gifs because, you know, electricity is perfect for that, right? Now that the project is over, I kinda miss the rush and the speed, the research and the constant art-making towards a single goal. I think I’m ready to do it all over again!